Motorola President Rick Osterloh today took to Twitter to answer some questions, one of them being about tablets. More exactly, the question was: "Will Motorola get into the tablet space this year?" According to Osterloh, the company doesn't "have any plans" regarding tablets, so we shouldn't expect to see any Motorola-branded slate anytime soon. However, Motorola recommends customers to try the Yoga tablets made by Lenovo (which acquired Motorola Mobility last year). As you may know, Motorola's last tablets (the Xyboard 8.2 and Xyboard 10.1) were released in late 2011 to moderate (or little) success. Last year, we heard that Moto was actually testing new tablets with screens of around 7 inches, 11 inches, and 12.5 inches. However, given Rick Osterloh's statement, it's pretty clear that none of them passed the "testing" phase (or maybe the company wasn't testing tablets at all, we can't know for sure). Also last year, a Lenovo exec reportedly talked about a new Motorola tablet, but it looks like that was just talk. 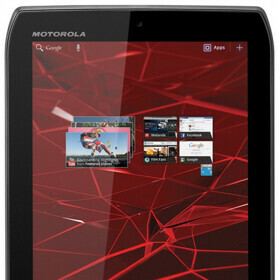 Do you think Motorola should give tablets another try at some point? Or is the market too crowded anyway? They were bought by Lenovo, why would they want to cannibalize their own brand? Lenovo already makes some of the most innovative products in the industry anyways, so why divide the resources? The only reason to consider doing so would be in the name of branding, and Moto has zero cachet as a tablet maker. At least people associate Motorola with phones. Anyways, the consumer tablet industry is roughly five years old at this point, I would hardly consider it "the pulse." I consider it through pulse simply because they were ambitious and wanted to change things. Dennis was there for the moto X,G and E Pushing them from obscure phone from Verizon to limelight. A SmartWatch that just about everyone Loves. Now for some reason after lenovo, moto x 1st gen still doesn't have lollipop after 5-6 months, devices have lost their luster and hype. Lenovo is like push our stuff in America. Glad I want planning on getting a tablet from Moto.